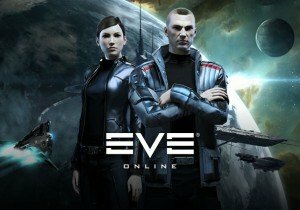 CCP Games released the newest expansion for EVE Online today, “Into the Abyss”, which invites players of all levels to explore Abyssal Deadspace. This is also a free update, the Abyssal Deadspace is dangerous, uncharted territory, inhabited by a hostile new faction – The Triglavian Collective. Here, players are tasked with returning with new weapons and technology, impacting the full sandbox of New Eden. It also introduces several quality-of-life improvements, accessible to all players. The Abyssal Deadspace content is should also be exciting solo survival gameplay, in this dangerous environment filled with unpredictable environmental effects, and incredibly intelligent enemies. Triglavian ships feature an entirely new weapon system with wildly different characteristics to anything seen in EVE Online before, known as Entropic Disintegrators. In the hands of a skilled pilot these powerful weapons can prove devastating, making these planetary installations easier to maintain. Other features in ‘Into the Abyss’ include UI scaling to support 4k monitors. MMOHuts Weekly Recap #142 - June 24th - Maplestory, Eden Eternal, Neverwinter & More! Continent of the Ninth Seal (C9) has finished its VIP testing phase, publisher Webzen announced.